From those wonderful folks in Robertson who gave you Life from Stone Sauvignon Blanc, comes a white blend which is impossible not to like. Consisting of 46% Sauvignon Blanc, 35% Semillon and 19% Pinot Gris, it has a wonderfully enticing nose of lime, white peach and especially grapefruit as well as quite pretty top notes of nettles and fynbos. The palate shows good, in fact great fruit concentration and really zippy acidity without being as seering as Life from Stone sometimes seems. 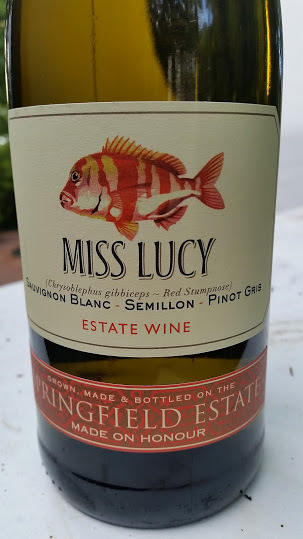 “Miss Lucy” is one of the nicknames given to the Red Stumpnose by Southern Cape fisherman and this wine would no doubt work well with seafood. It was also a good match with kettle-braaied free-range chicken. Liquor City Claremont price: R99.90 a bottle.